Kyle, an atheist, and Daniel, a Christian, are friends who aren’t interested in yelling at each other. They sometimes have guests on who can open up their minds to different world views. So if you have a different faith background, or a unique world view, and would be willing to be interviewed from “both sides,” they’d love to have you on. You may need to read or watch something before they record. Host Calum Lykan is interested in having a good conversation on the subject of storytelling on any level — business, personal or folk and fairy. Listen to the show to get a feel for it. Most episodes are solo, but here's an example with a guest. 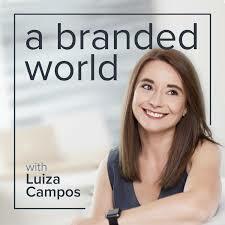 Host Luiza Campos is looking for experts on brand-related fields (e.g. colour, packaging, events, etc. ), or the owners or brand managers of remarkable brands (big or small). She wants to talk to people who are willing to share their brand stories and what they do or have done to build a remarkable brand. Host Shane Fennessey interviews Edmontonians who are making a difference. If you are doing something interesting in the City of Champions, pitch your story to him. Guests must be willing and able to be interviewed in person. Are you an artist? Or maybe you’d define yourself as a creative entrepreneur? Kyle Marshall wants to talk with you! 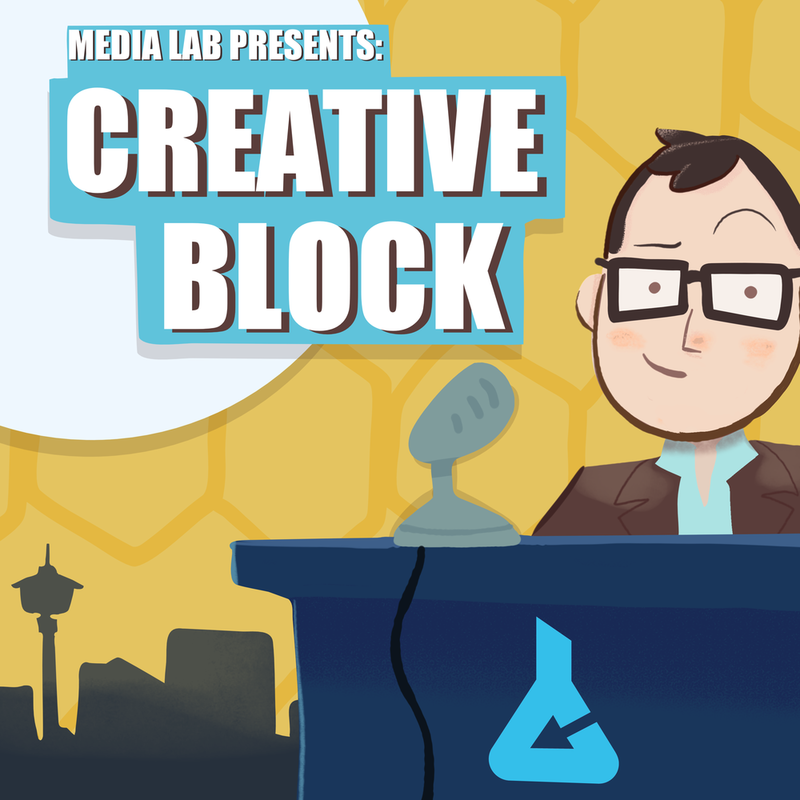 Creative Block is an interview show which focuses on where people came from, what they’re doing now, and what they hope to accomplish in the future. In this show about creativity and innovation. NBee chats with guests who are doing things slightly differently than other people in their field. The guests have created something new like a new business, a discovery, tool, or a new approach by combining different fields, talents or areas of knowledge. Alternatively, they are involved in supporting creative and innovative organizations. Guests can be remote or in person in Calgary. Host Shane Lawrence is looking for guests who are directly involved with public education. If you have a particular methodology or interest in your approach to education, this is also helpful. Conversations are informal and fun — no prep required! 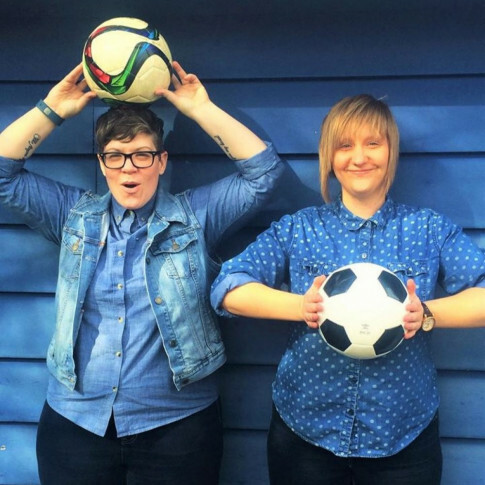 Hosts Jessica and Katie are interested in having guests who are connected to the Canadian soccer community. Their show is focused on the women's game, so most of their guests are connected to girls' and women's soccer, but they are also interested sharing stories about people and organizations that are helping grow the game in general in Canadian communities. Hosts Paul Blinov and Fawnda Mithrush want to hear interesting perspectives on arts and culture. The podcast focuses on live performance in Edmonton. In-person interviews only, either in studio or at the scene of a performance. If you are putting on a show and want them to include it in their listings, send it along! Guests for this show must enjoy picking movies apart and be willing to watch a movie in advance. This podcast examines a bad movie and imagines how it might have been made better. Hosts Gregg, Scott and Colin ask guests to have ideas about what they would keep, cut and change in a film. 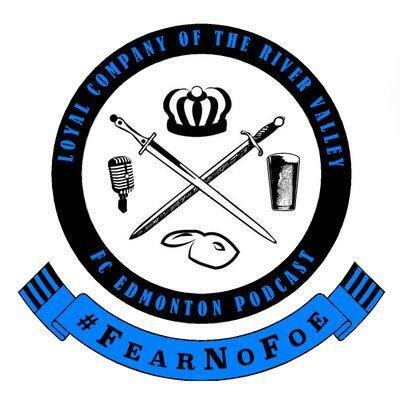 Hosts Adam Huber and Nathan Terlesky would love to talk to you about FC Edmonton, the Canadian Premier League, or local soccer in general. Interviews can be recorded in person in Edmonton or remotely. Host Avery Cochrane is looking for guests who want to sit down and chat about food. He usually has comedians on the show, but not always. His interviews usually take place in Calgary, but he will travel for the right interview. Avery's interview style is loose and fun. He likes to promote his guests' upcoming shows or anything else they have to share with his audience. Guests must be interested in exploring masculinity in their daily life, through their past, their relationships, or their work. This is not restricted to male-identified people — it's for anyone with ideas around masculinity and gender. The podcast is pro-feminist. Guests don't have to identify as feminists, but host German Villegas does not tolerate anti-feminism. Be vulnerable and open. He sends questions in advance, but it is a loose conversation. Guests of Dan and Chelsea must be a part of the geek/nerd community. They prefer guests from the Edmonton area. The show is more of a discussion than a straight-up interview. 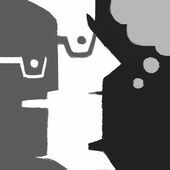 Be prepared to talk about what's on your geek shelf, and to talk about the nerdy thing you want to promote. The show is recorded live on Google Hangouts and then put out as a podcast. Guests must have an interesting insight on a connection that hosts Christian and Eric want to chat about. From brushes with fame to integral participation in culture creation and commentary — those are the guests they love to have. They want to talk about how you connect to things, but they're also interested in chatting about new projects you're involved in. 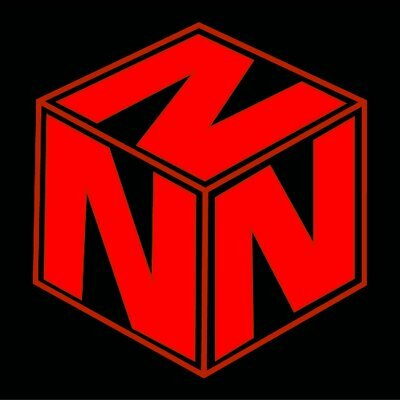 Feel free to promote anything and they'll make sure it gets out there. Stephen Sondheim is a giant in musical theatre. Kyle Marshall wants to talk to musicians, composers, and fans of Broadway about Sondheim’s genius. He’s going show by and show and song by song. Which show do you want to talk about? Host Vanda Favaro invites on guest co-hosts to chat about sports very casually. No stats knowledge needed. On the halftime show, she and her guest talk about anything not to do with sports. Have something of interest to share, such as a new local business, a charity event, a craft brewery, etc. You might want to do a little research, especially during NFL season, but vast sports knowledge is not necessary — just an interest in talking sports. 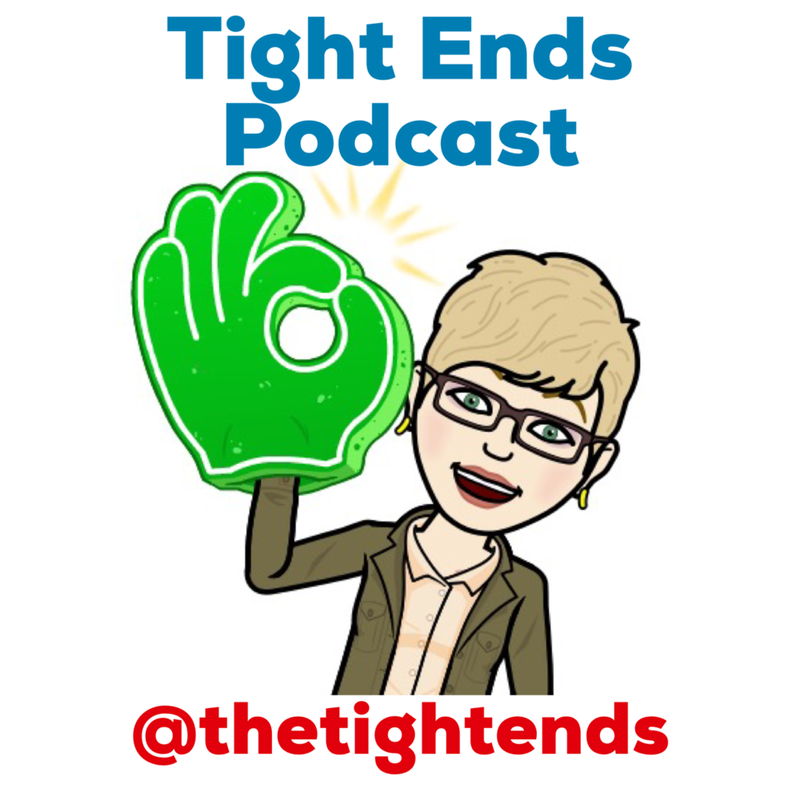 Host Trent Wilkie is interested in talking to parents, expecting parents, or people with parents (so, everybody, as long as you want to talk about family). He is also happy to have guests on to talk about parenting or kids — doctors, psychologists, children's authors, etc. The UnDad likes to have fun. Be prepared for irreverence.